The average car repair bill is $500, and that means many people go into debt to fix their vehicle. From a minor parking accident dent to major engine problems, you never really know when your vehicle is going to cost you an unexpected – and often huge – sum of money. Avoid taking out credit to repair your car: follow these hot tips for affordable car repair instead. A combination of prevention tactics and savvy research will help you to reduce the costs on your car repair bill. If you’ve been in an auto accident, make sure to claim for compensation. You can do this from your own car insurance, or if the accident is someone else’s fault, their insurance. 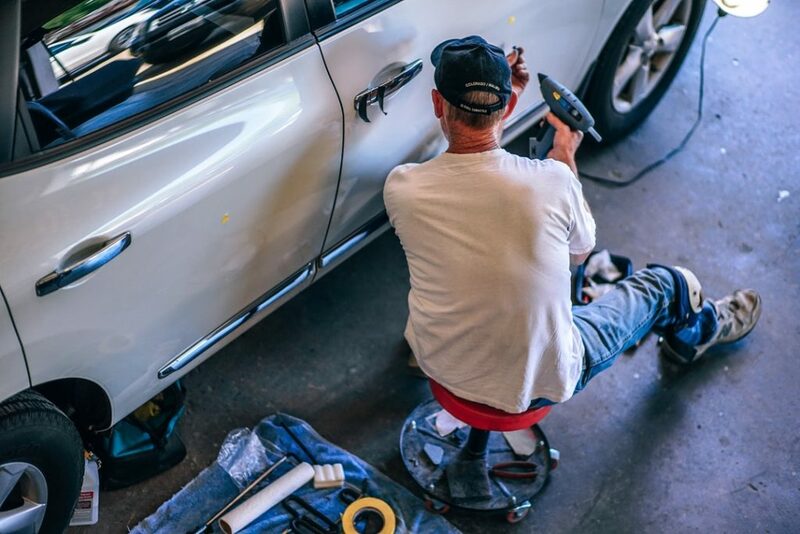 Insurance claims can take a little time to sort out but will make sure your vehicle repairs are paid for without breaking into your savings account. Don’t take your car to the nearest mechanic. Instead, do your research and ask for quotes from several mechanics in your area. Take clear photos of the damage to your vehicle, if it’s visible, and describe the problem in detail. It’s often best to write it into an email so that every mechanic you approach has the same information to provide a quote. Compare the quotes you receive against your preferred mechanics. If your ideal mechanic quotes a higher price, try going back to them with the lowest quote you’ve been provided to see if they’ll negotiate. Some mechanics will offer discounts or coupons from time to time. Research online, and ask them in person, if they’re running any offers that could reduce your repair cost. You should also consider offers that mean a little extra spend now to save money later. For example, offers to replace all four tires at a discount will save you in the longer term, as if one has blown it is likely they all will need renewing soon anyway. Find a mechanic approved by the National Institute for Automotive Service Excellence (ASE) to make sure your repair is completed to a high standard. Recommendations from your friends are a great way to find a good mechanic – but always choose an ASE-registered one for peace of mind. There are over 300,000 members in the US, so it’s easy to find one near you. You may find that an ASE-registered mechanic is more expensive than a non-member. However, remember that mechanics must reach the high expectations and standards of the organization, including quality repair work. A non-member doesn’t have to adhere to these standards and so may cut corners on the job in order to stay cheap. If you want to improve the appearance of your car, but can’t afford an entire paint job, consider a paintless dent repair. For minor damage such as door dings and hail stone dents, you don’t need to pay for an entire paint job. If you have dents under a few inches in diameter, you can save money by opting for a paintless repair job. The bodyshop you choose will pull out the dents in your vehicle instead of filling them in. This means you don’t need a full paint job to cover up the filler – and your dents will disappear. If paintless dent repair sounds like something you might need to restore your vehicle, speak to an expert for more info. Save money by checking online reviews to find a mechanic with a good reputation. Third-party review sites, such as FeeFoo and Trustpilot, provide genuine customer testimonials to help you find the best mechanic for the job. Watch out for reviews suggesting a garage has over-billed, added extra work, or caused problems or unnecessary delays. These are all signs of car repairs that will end up costing you more than the original quote. Find reviews from customers who have visited the same mechanic for years, or who comment on the reasonable price. These are signs you’ve found a decent, honest, and reliable mechanic for your car repairs. There are some repairs you can carry out yourself to save significant bucks in the long term. Prevention is the best place to start: regularly check your lights and fluids. This will help you to avoid accidents, when your lights don’t work, or engine problems caused by low fluids. Other repairs, such as switching out the battery, may seem more complicated. However, there are many online forums and video tutorials to walk you through the exact steps you need to follow. Search online using a phrase such as ‘how to change a battery Ford Mustang 2018‘ to make sure you find tutorials for your exact vehicle model. Many car parts are readily available online. You don’t need your mechanic to order them in, especially as this adds to the total of the final bill. Shop around, online and in person at breakers yards, to find the part you need. When buying second-hand, always check the condition of the part before you agree to purchase. Doing this means you only need to hire your mechanic to fit the new part. Paying only labor costs, and not additional charges for parts, will significantly reduce your repair bill. Many of us love our vehicles and pour money into repairs to keep them going for as long as possible. 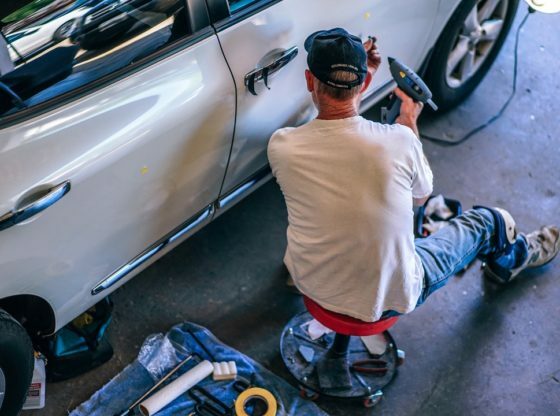 Affordable car repair hacks can save you money for a time, but there will come a point when you need to consider changing your car for good. A new car, or newer second-hand vehicle, could cost less than constant cheap car repairs. A reliable and recent model will have better fuel efficiency, fewer mechanical issues, and better safety features, too. If you’re not convinced that your old car may need upgrading, see if you can tempt yourself with these top five family-friendly SUVs.